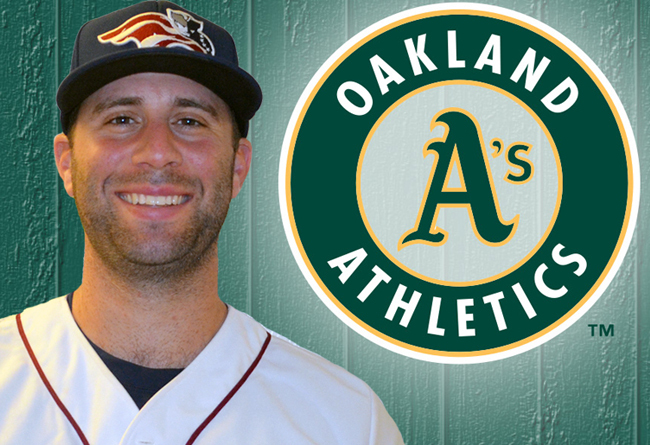 (Bridgewater, N.J., July 13, 2018) - Left-handed pitcher Jeremy Bleich has been called up by the Oakland Athletics and becomes the 20th former Somerset Patriots player to make the Major Leagues after time with the Patriots. Bleich started this year in Triple-A Nashville where he had a 1-1 record, a 3.23 ERA and 38 strikeouts over 39 innings in 27 games pitched. Bleich played in parts of two seasons with the Somerset Patriots, most recently in 2017 when he appeared in two games before having his contract purchased by the Los Angeles Dodgers. He spent 31 games last season at Triple-A Oklahoma City and finished with a 5-3 record, a 3.22 ERA, three saves and 43 strikeouts in 50.1 innings pitched. He also has service in the New York Yankees, Pittsburgh Pirates and Philadelphia Phillies organizations. Bleich was originally drafted by the Yankees in the first round (44th overall) of the 2008 June Amateur MLB Draft out of Stanford University. He played in three-straight seasons at the Triple-A level from 2014-2016, including the Lehigh Valley Iron Pigs, before joining the Somerset Patriots. Bleich has a career 37-37 record, a 3.77 ERA and 539 strikeouts in 659.2 innings over 268 games pitched.